For many of us, yoga is a way of life. When you learn yoga it gradually becomes an integral part of the lifestyle. However, the increasing demand for yoga has opened up new opportunities for those who want to build a career out of it. If you are interested in starting your own yoga school in your country or want to look for yoga trainer job you will require yoga teacher training certification. India is the best place to look for yoga schools that can offer you information and knowledge that can allow you to become a successful yoga trainer. While there are many countries where yoga training is available, but to study yoga in India offers an added advantage because you are learning right from the source. 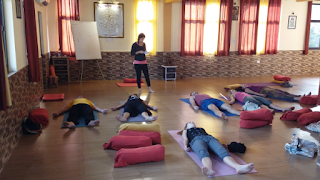 Rishikesh is an ideal setting for you for yoga teacher training in India. This tiny town nestled along the banks of the Holy Ganges offers you the best serene environment you’ll need to discover the peace within and perform yoga to achieve the higher state of mind. The schools here are certified and emphasize on quality in every aspect of yoga training. They offer the best accommodation and food that you’ll need to have a great yoga training experience. 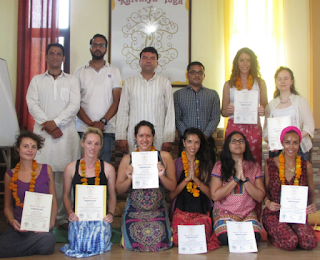 Kaivalya Yoga School provides yoga TTC in Rishikesh and is committed to providing the highest quality of yoga knowledge. The training would help you to build your knowledge foundation and help you to start your career as a certified yoga teacher across the globe.